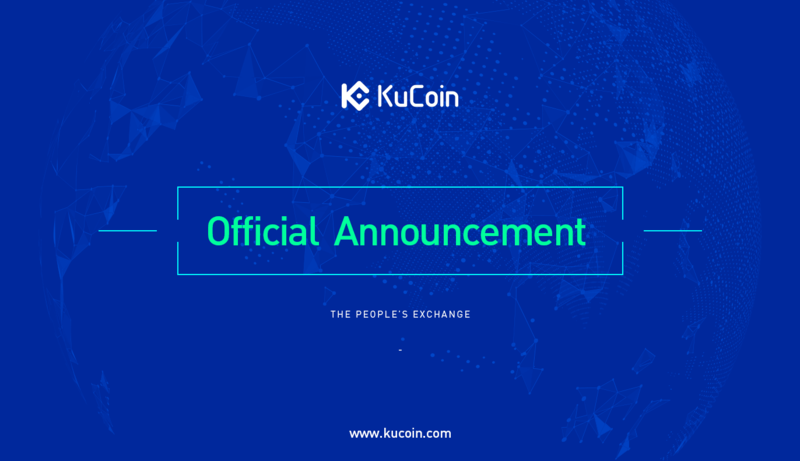 In order to improve the quality of our service, KuCoin will be performing a system upgrade for OpenAPI at 10:00:00 AM, April 15, 2019 (UTC+8). The upgrade process is expected to last around 15 minutes. During this period, some API services will be temporarily affected. We are sorry for any inconvenience this may cause you! Thank you for your support for KuCoin!